MARAK MORFORD Warning: The Next Generation Might Just Be the Biggest Pile of Idiots in U.S. History I HAVE this ongoing discussion with a longtime reader who also just so happens to be a longtime Oakland high school teacher, a wonderful guy who's seen generations of teens come and generations go and who has a delightful poetic sensibility and quirky outlook on his life and his family and his beloved teaching career. By MARY HICKCOX THE way in which we view education has a lot to do with our past; how we grew up, societal influences, and the way we were schooled ourselves. It is the legacy that we pass on to our children. Tragically, the current way our education system is engineered, it appears our children seem doomed to be unsuccessful. By CRISTINA (MARYAM) IGNAT DURING the early days of Islam – and when Islam started being strong, or “the Golden days of Islam” – the education system of the child was “complete” – right from the beginning. The role of the Masjid was to introduce the kids to Qur’an and Hadith (which is still being maintained in the madrasahs nowadays) – but also to provide necessary education to the potential students (children and adults) with the “dunia education (Math, Arabic, science, medicine, etc. 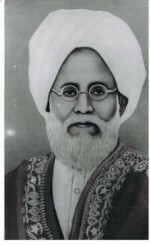 By Prof. Ishtiyaq Ahmad Zilli Director Darul Musannefin Shibli Academy, Azamgarh (UP) India MUHAMMAD Shibli Nomani (1857-1914) more popularly known as Shibli Nomani or even simply as Shibli was born in a respected family of landed aristocracy in Bindawal, a village of Azamgarh district in eastern U.P. in 1857. Thus Shibli was born while the first war of independence was at its peak. Azamgarh and surrounding areas were particularly affected by its patriotic fervour. Asad Zaman N Orientalism, one of the most significant and influential books of the twentieth century, Edward Said describes how the European project of colonizing the rest of the world distorted all academic knowledge produced about the East (the Orient). The necessity of justifying and providing a moral basis for the loot and plunder of Asia, Africa and the Americas led to the invention of a large number of Western theories which made it impossible to achieve an objective understanding of the East.